For SEO professionals, keyword research is essential. This allows them to avoid hyper-competitive or low-demand keywords. Keywords research is aimed to find keywords with minimal competition and higher demand. To carry out this kind of research, we will need a proper keyword tool. Often, one-word keywords are already highly competitive, except for very new or obscure terms. SEO professionals need to start with long tail keywords that may have less competition. As an example, we may choose “swing jazz mp3”, “housetrain your one-month puppy” and others. They may have much less demand than “jazz” and “puppy”; but the competition is also much lower. Generally, it is better to rank well on multiple long tail keywords than struggling for the whole year get good rank for a competitive one-word keyword. By gaining good ranks for multiple long tail keywords, we could still get decent traffic as a whole. It is much better for us to aim for a much less competitive keyword. This can determine our success as a SEO professional. One of the best, free keyword research tools is Google Keyword Tool. It will take only a little practice to use this tool. With enough understanding, we should be able to gather enough long tail keywords that are related or relevant to our niche. Before using a keyword research tool, we should begin with multiple broad keywords, such as repairing home, organic gardening, weight loss and others. A good research tool should suggest multiple long tail keywords that people are using to find information or products. We could type one of our broad keywords and click the Search button. We should see a list of associated long tail keywords. Important information that we need to look at is the average monthly searches for a long tail keyword. This roughly determines the amount of traffic that we can get from it. We need to find long tail keywords with higher number of searches. The next thing we should do is to find the level of competition of these candidate long tail keywords. It should be simple to do this. We could simply paste or type the long tail keyword to search engine fields. Google is often inaccurate or unpredictable when showing the amount of results, while Yahoo seems to be more reliable. It is preferred to use Yahoo and find out how many potential competitions we can get. A good indication if there’s little or no page on both search engines that’s written specifically for the keywords, especially from Wikipedia or other websites. With good enough keywords, we should be able to get enough traffic that can be converted to sales. It should be noted that some long tail keywords may turn out to be a dud, but with enough experience, we could eventually sense, which keywords that can bring us real traffic. It will take some practice to find out, but we should be able to do this. 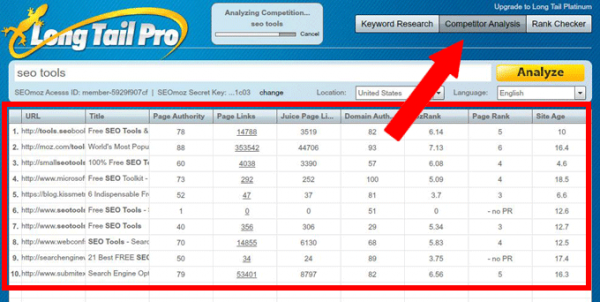 Some commercial, paid keyword tools could provide more accurate or latest results on keywords characteristics.